A lively and engaging Starters title for beginner readers from author-illustrator Ed Boxall, with a friendly text and stylish two-colour illustrations. 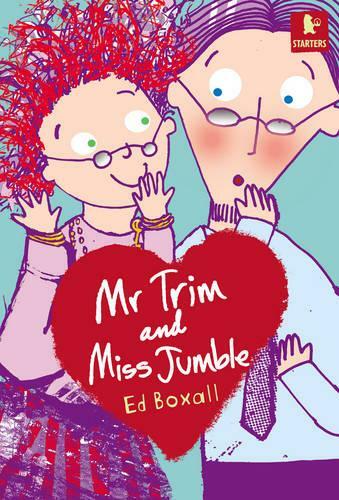 Mr Trim and Miss Jumble is part of Walker Starters, the wonderfully fun and friendly series for beginner readers. 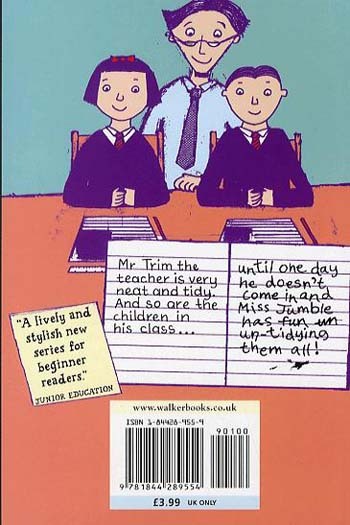 Mr Trim the teacher is very neat and tidy. And so are the children in his class ... until one day he doesn't come in, and Miss Jumble has fun un-tidying them all! This is a charming and uplifting story told through a range of writing styles, including hand-lettered labels and speech bubbles. The illustrations, which appear on every page, are lively and stylish, and play an active part in helping children understand the text.